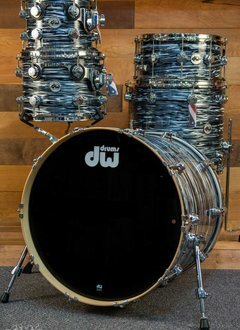 DW's flagship line, the Collector's Series, are the original US-made custom drums. The concept maple shells deliver famed warm depth and range and come in a myriad of today's most popular configurations. New Concept Maple Exotics deliver on both of these promises in a big way. Offered in a 5-piece F.A.S.T. configuration with available 8" and 14" add-ons, the all-maple shells are finished in a rich Walnut veneer with glossy Charcoal Burst lacquer. 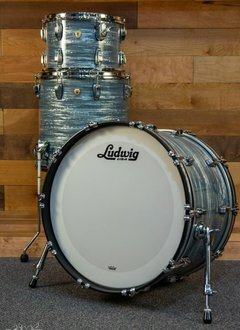 PHOTOS ARE OF THE ACTUAL KIT FOR SALE. 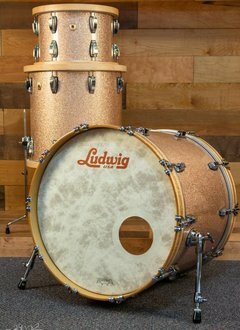 Purchase of this kit includes AIRFARE to California from anywhere in USA, HOTEL, and a TOUR of DW. A completely re-imagined line of PDP drums designed for every drummer. 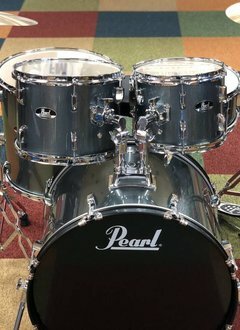 With features like Reference-inspired shell composition, high gloss lacquer finish, and the unbeatable 830 Series hardware package, the Pearl Export 5 Piece Drum Set is ready to fuel the fire for future drumming icons. With 5.4mm Maple shells, pro-level features, and gorgeous lacquer finishes, Decade elevates your performance at a price that was previously impossible.